Ohr Li Jerusalem has operated in the property management business since the 1990s. We are experienced and active in Israel in the fields of apartment management for absentee owners, short term and long term vacation rentals, other rentals, property maintenance and renovations. Our vacation apartments enjoy full occupancy during both peak seasons and other periods. We work in collaboration with Jerusalem apartment/property owners and House 57 (house57jerusalem.com). Our main focus is on developing and maintaining good, professional business relationships with our clients. The current and future growth of tourism and leisure in Jerusalem creates opportunities for property owners to generate viable income from their assets while providing first rate accommodations to others at good prices. Our aim is to provide exceptional service to clients. Whether you are a property owner or you are interested in renting an apartment for vacation, holiday, short term or long term, our policy is to provide quality management and supervision of our properties. We cater to our clients’ needs before, upon arrival and during their stay. Our apartments are inspected for quality, excellent location, convenience and amenities. They are typically larger than hotels rooms, afford privacy, and include kitchens (including strictly kosher), additional bathrooms, and washer/dryer. 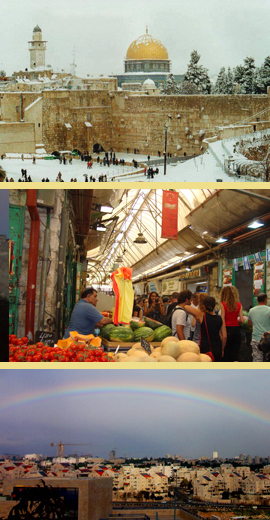 We are here to provide the best Jerusalem experience!